Unless you’ve been living under a rock you’ll have heard about Real Madrid crashing out of the Champions League last night at the hands of Ajax. A victory for all that is good in football – I’m sure that we all agree. The Spanish giants have been ridiculed following their 4-1 defeat by many – especially considering Sergio Ramos deliberately getting himself suspended for the game. It’s the level of arrogance to assume he’d not be needed in the second leg and the fact the “Galácticos” let four in at the Bernabéu that’s simply beautiful. 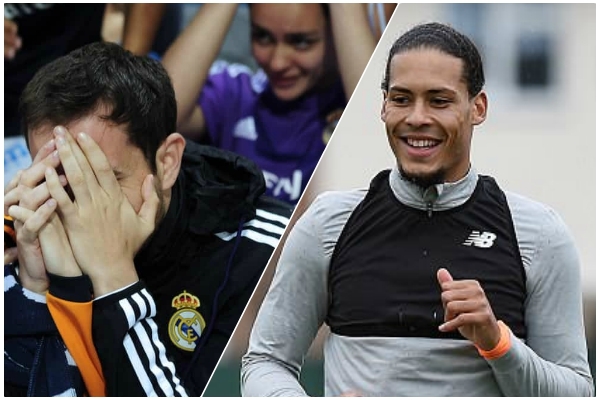 It seems it wasn’t just the fans that enjoyed Real Madrid’s collapse though as Dutch colossus Virgil van Dijk has been a busy man on Twitter. Following the result a Tweet was put out by Ajax’s English Twitter account celebrating the 4-1 victory. This post – and another by the official account of Johan Cruyff – was liked by van Dijk last night as the main man was clearly enjoying the result as much as us fans. Virgil has always been a bit sly on social media – around the time when Liverpool were interested in the Dutchman and Southampton were refusing to sell he posted a rather moody image of him on a plane. The Liverpool man wasn’t the only world class defender to seemingly revel in Real Madrid’s sorrow as Barcelona and Spain legend Carles Puyol got in on the action too. Liverpool travel to Bayern Munich in their second leg of the round of 16 – should we progress it’s reassuring to know the cub that beat us in the final last year won’t be waiting. Premier League rivals Spurs are already through to the next round following their impressive 4-0 aggregate win over Borussia Dortmund.